THIS ARTICLE IS A READER FAVORITE AND WAS ORIGINALLY PUBLISHED IN June 2010. I want their hearts. No behavior modification or fad parenting of the day — no, I want the hearts of our boys because God wants the hearts of our boys. But how do we go about doing that? Looking at parenting through the lens of these verses has changed everything for me. You see, I was a Pharisee. Boy, was my cup clean on the outside. But on the inside? On the inside my cup was filthy—full of all uncleanness. I had everybody fooled — even myself. I believed that if I did good things, it made me good. Actually, it’s probably closer to the truth to say that I believed that if I didn’t do bad things, I wasn’t bad. I didn’t know that no one is good. I didn’t really understand that everyone sins. And I didn’t understand the depth of my own sin until the Lord showed it to me. Question: In our efforts to raise our sons, are we teaching them that if they do good things they are good? Righteous, even? If we teach them that being good is all it takes—if our discipline and training focuses on their behavior—how will they know they need a Savior? If a godly son is your goal, you must aim for the heart. Because unless the heart is changed, the behavior will stay the same. It might look a little different…morph some as they grow. But behavior is always a symptom of the state of the heart. Whatever’s in the heart comes out. 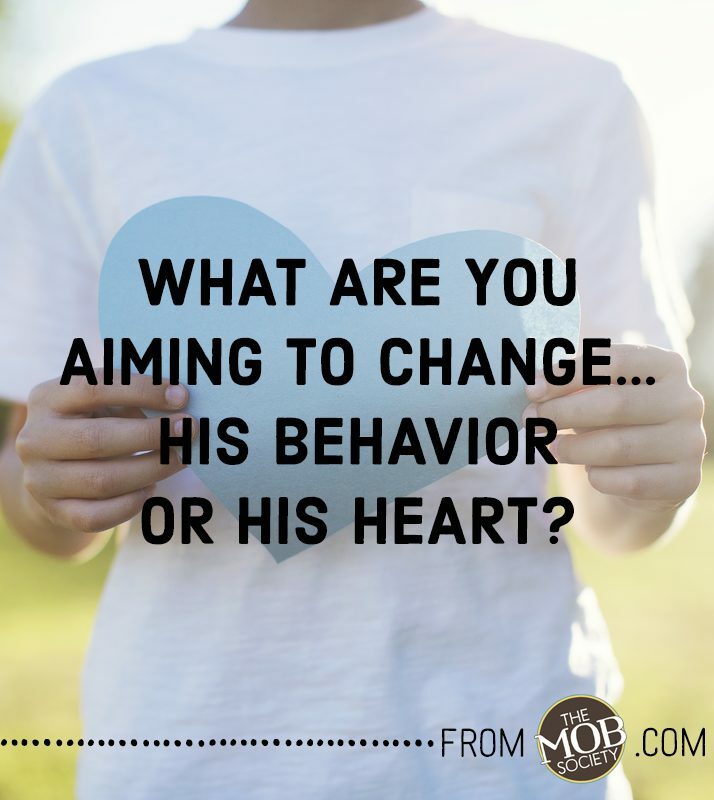 What parenting tools have I been using that only focus on changing behavior and not the heart? Am I willing to lay them down, even if they produce what looks like a good child? Reaching a child’s heart takes time. Behavior modification is much faster! Am I willing to change things about my life so that I have the time to invest in the hearts of my children? Most importantly: Am I willing to submit my own heart to God and allow Him to mold me from the inside out? Shepherding our boys is not for the faint of heart, ladies! Once a week or more, I’m tempted to just throw it all out the window (including the boys) and take the easier path. So what keeps me going? I want their hearts. Just like my Heavenly Father wants mine. 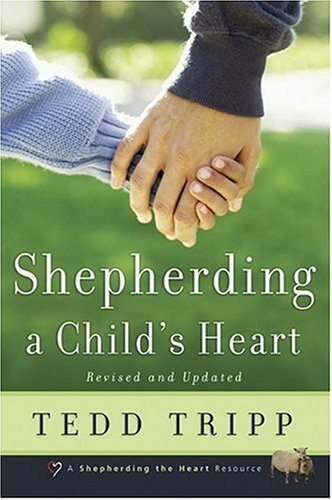 In his book, Shepherding A Child’s Heart, Tedd Tripp teaches parents how to aim for the heart. My husband and I have found it invaluable to us as we aim to shepherd our sons’ hearts to understand their need for a Savior.